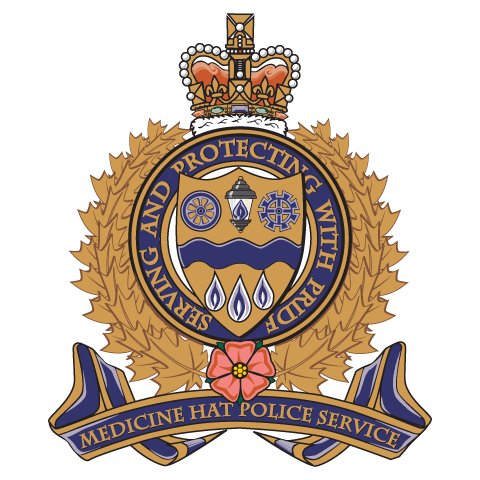 The Medicine Hat Police Service Canine (K9) Unit has been in operation since 1980 when it started with two police service dogs (PSD). The Unit expanded in 1985 to include 4 dogs and 4 handlers to allow for 24 hours per day, 7 days a week street coverage. The K9 team's primary purpose is to attend scenes of crimes that are in progress or that have just occurred, for example break and enters, theft from autos, assaults and robberies. The ability of the PSD makes them ideal partners in many areas. The training of the dogs allows them to follow human scent and gives them the ability to track and locate suspects. The dogs are used to search and clear buildings where alarms have been received and it is suspected someone has illegally entered. The dogs can also locate evidence, which may be related to a crime. All of the dogs are cross-trained in the locating of narcotics. Dog handlers work only one dog and are responsible for them at all times. Dogs remain in the unit as long as they are able to perform the duties required of them. Once the dogs reach an age that they are no longer able to work, they are retired to their handler.